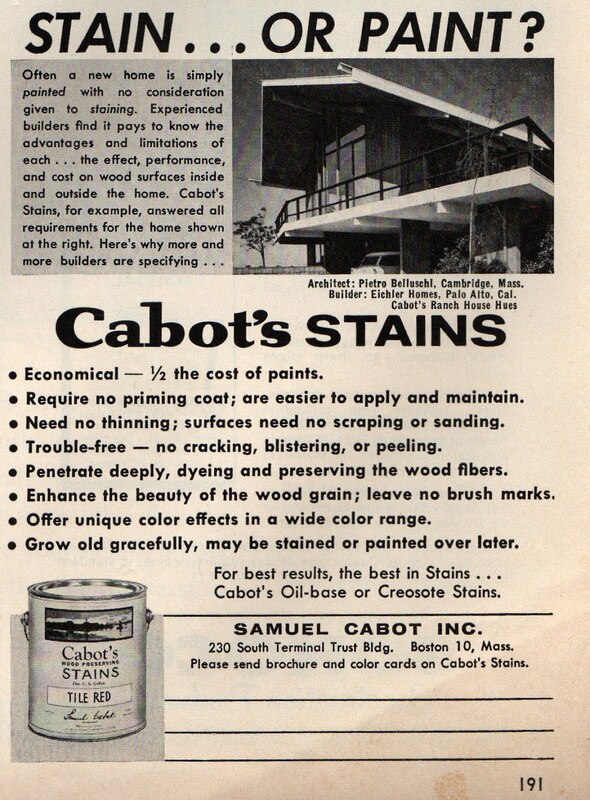 I mentioned Cabot stains back when I wrote about mid-century paint colors for Eichler homes. 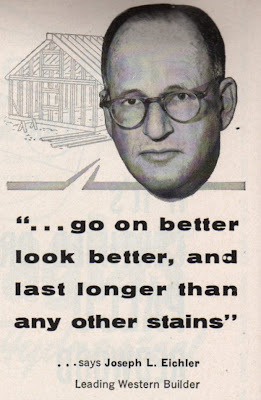 And I recently ran across these vintage ads for Cabot, featuring Joseph Eichler and Eichelr homes. 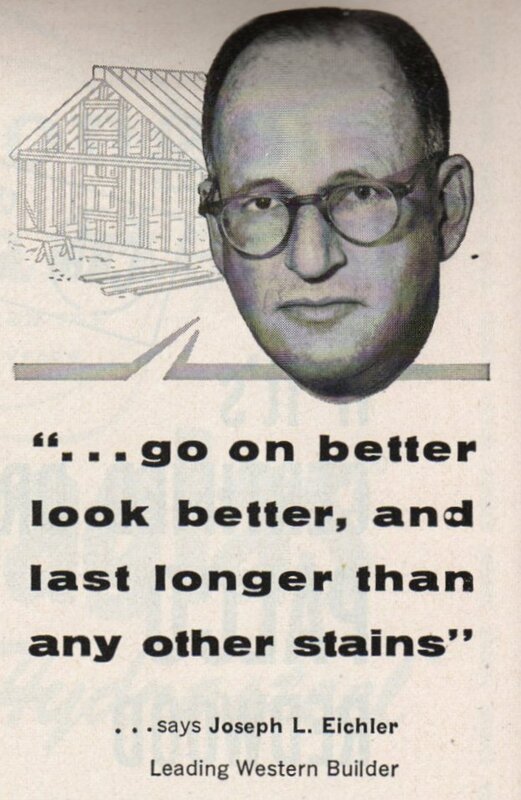 "...go on better, look better, and last longer than any other stains"
Economical — 1/2 the cost of paints. Require no priming coat; are easier to apply and maintain. Need no thinning; surfaces need no scraping or sanding. Trouble-free — no cracking, blistering, or peeling. Penetrate deeply, dyeing and preserving the wood fibers. Enhance the beauty of the wood grain; leave no brush marks. 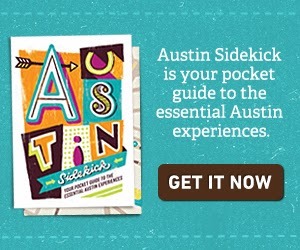 Offer unique color effects in a wide color range. Grow old gracefully, may be stained or painted over later. 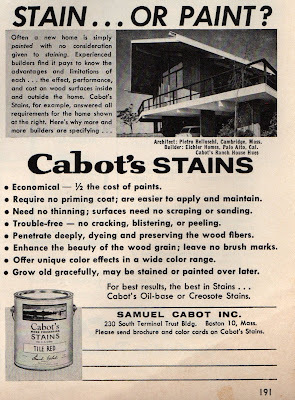 Cabot's Oil-based or Creosote Stains. Endorsements from leading builders such as Mr. Eichler are your assurance that with any Cabot product you get the finest quality, greatest economy and longest life. Choose from 18 modern colors — many exclusive with Cabot including Alcazar Brown, Mariposa Redwood, Mimosa Yellow, Spruce Blue.